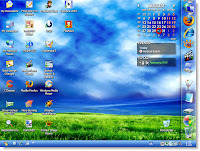 Windows XP Service Pack 3 hit the RTM milestone on April 21, 2008, was released unofficially on April 29, and then finally arrived on Windows Update and the Microsoft Download Center on May 6. When asked when automatic distribution would begin, Microsoft insisted on saying "early summer" while the community speculated various dates. Over two months later, Microsoft has finally released the third (and probably last) service pack for Windows XP x86 via Automatic Updates (AU). XP users who have not yet manually chosen to download the service pack and who have their Windows Update set to "automatically download recommended updates for my computer and install them" will receive SP3 now that it has been marked by Microsoft as "Recommended." If you do not get SP3 automatically yet, don't sweat it. Microsoft has previously said that distribution through AU is done in a staggered manner so that the company's servers can handle the load. Those who still want to avoid the update without changing their Windows Update settings can use the Windows Service Pack Blocker Tool Kit. The final build of SP3 (5512) reportedly includes 1,073 fixes, including every security update, out-of-band release, and hotfix released since Windows XP SP2 hit Microsoft's servers back in August 2004. Worth checking out are the SP3 release notes and the MUI pack. Also, make sure you know what to do with your version of Internet Explorer before installing the service pack. Howdy! This article couldn't be written much better! Looking at this post reminds me of my previous roommate! He continually kept preaching about this. I will forward this post to him. Pretty sure he will have a great read. Thanks for sharing!